1:14 in the morning.... ! he's in WA so that would be 11:14. If Luke doesn't have the bracket, I've probably got one. Yell if you need it. Re headlights Mike - I managed to get a replacement LHS outer for my 81 GTV from Oxford Spares in Leederville about a year ago. Luke has sorted the bracket for me so big thank you there! I chase up the head light tomorrow for sure. As for ferrari 360 tb..sounds interesting but not in line with my stock approach..and I know the car..I tried to buy it...bloody Dave..hes greedy :-). Cam covers were finished last night. Now engine can be oil pressure tested outside of car. Exciting. Oh yes..there is a time difference so whilst I had an early one at 11.15...the previous night was closer to 2am. Im getting old...cant do that dvery night anymore! So very close to being back on the road again! Awaiting a fuel tank, brake proportioning valve, and need to sort out a heater box and bracket and line for aircon compressor. Stock as a rock except better rotary compressor and a nice black cam cover! Otherwise, she is as per factory...plus liberal rust prevention in every cavity! Oh also need to decide on wheels but for now will restore the factory rims at a minimum and perhaps run with a spacer to fill the guards. All suggestions and comment welcome! Just stunning Mike, what an inspiration. Good luck with your resto! I found fidly little bits or rust in some expected and not so expected places. Prices of 4 cylinder cars are prohibitive to ecconomocal restoration so if you plan to pay someone for bodywork and you are not connected to the car you have..its way cheaper to pick up a tidy example. It can be done..Im just aaying you wont recover your costs. So looks like you found headlights Mike? No I still need an outer lhs light. I tried the mob you suggested. They said they have never ever stocked an Alfa gtv6 light. 9dd...perhaps you got it elsewhere? Mine is a 2.0L (not that I imagine they'd be different to the V6). But I took the light in with me, and they hunted around to find a replacement. I presume then that either one or both were/are not factory. Regardless, it works. Ah that might explain it. They would have stocked a h4 no doubt. I am after a Carrello. H4 fit other makes. Ill find one eventually! Appreciate ypur help though and any other leads others may have. have you asked Cilebertis in Ozzie Park if they have them, or can source them? They've often come up with something for me after a bit of scrounging around out the back. 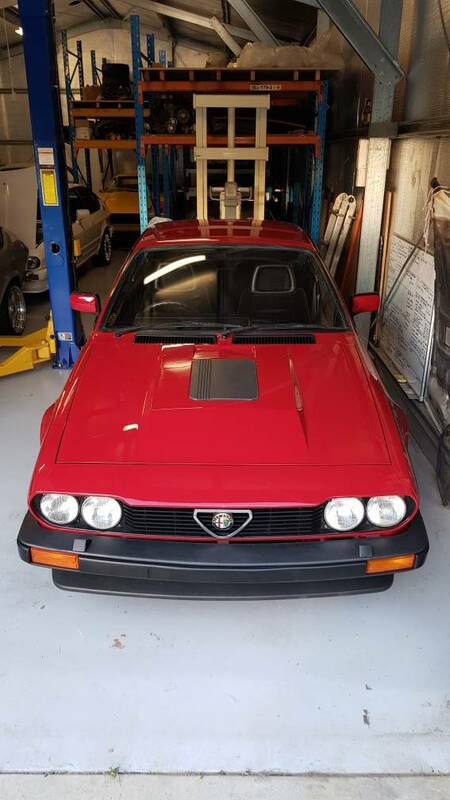 Also I've recently joined a couple of excellent Alfa buying/selling groups on FB (links below) - if you post what you are after on there someone may be able help. Page created in 0.07000000000000001 seconds with 24 queries.